​On certain occasions, and depending on the nature of the development, a watching brief may be the only coverage required, whereby one or maybe two archaeologists observe and monitor machining on the site, and record any archaeological features exposed. This recording is rarely done to the same levels of accuracy as evaluations and excavations. A watching brief may be a long process, for as long as ground works are being carried out across the site, whereas evaluations and excavations are usually for a set, and adhered-to, duration, to minimise disruption to the programme. 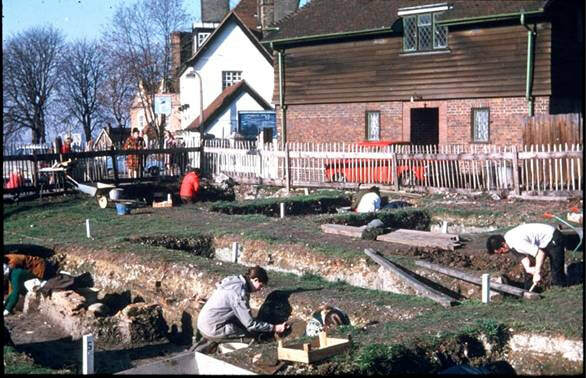 A watching brief may also form part of a larger programme of archaeological works.